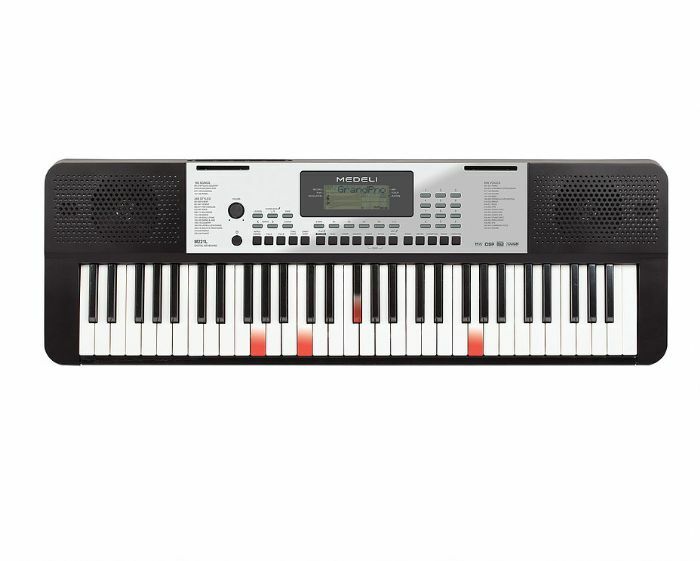 M221L is an ideal choice for beginners to learn to play keyboard with its touch sensitive, light up keybed. The LED light in the keybed will indicate the correct notes according to the built in 120 songs. You can also connect a MIDI compatible piano learning app from your mobile device to the keyboard via USB cable and Apple camera kit. Learning to play the keyboard is now very easy.